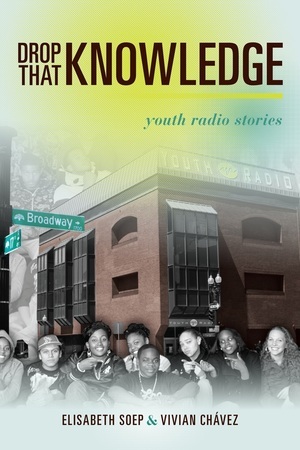 This is the first book to take us inside Youth Radio for a fascinating, behind-the-scenes look at a unique, Peabody Award-winning organization that produces distinctive content for outlets from National Public Radio to YouTube. Young people come to Youth Radio, headquartered in Oakland, California, from under-resourced public schools and neighborhoods in order to produce media that will transform both their own lives and the world around them. Drop That Knowledge weaves their compelling personal stories into a fresh framework for understanding the relationship between media, learning, and youth culture at a moment when all three spheres are undergoing dramatic change. The book emphasizes what is innovative and exciting in youth culture and offers concrete strategies for engaging and collaborating with diverse groups of young people on real-world initiatives in a range of settings, online and in real life. Elisabeth Soep is Research Director and Senior Producer at Youth Radio. She is coeditor of Youthscapes: The Popular, The National, and The Global. Vivian Chávez is Assistant Professor of Health Education at San Francisco State University and coeditor of Prevention is Primary: Strategies for Community Well Being. "...dares to declare that young people really matter, what they think matters, what they say and do matters, and we should listen up and get out of the way...Drop that Knowledge is a must-read, especially for those of us who work in public media, who are coming to recognize that young people will lead our institutions to the holy grails of both diversity and innovation." —Julie Drizin, founding producer of "Democracy Now!" and NPR's "Justice Talking"